The new iPhones are coming, and guess what: They are ridiculously expensive. The 256GB iPhone 7 Plus, which has a 5.5-inch display in five colors, costs a whopping $969 at retail. Not sure why 256GB matters? It’s the first time Apple is offering this much memory in an iPhone, and it’s probably as much memory as you have available in your entire laptop. Sure, you might be due for an upgrade through your wireless carrier, which would save you from paying full price for a gleaming new phone. But what if you’re planning to pay outright for a new phone? What else could you buy instead? It’s got less memory than the snazzy new iPhone, but here’s what the 13-inch Macbook Air does have: a big screen, a headphone jack, a keyboard, reduced strain on your eyeballs. 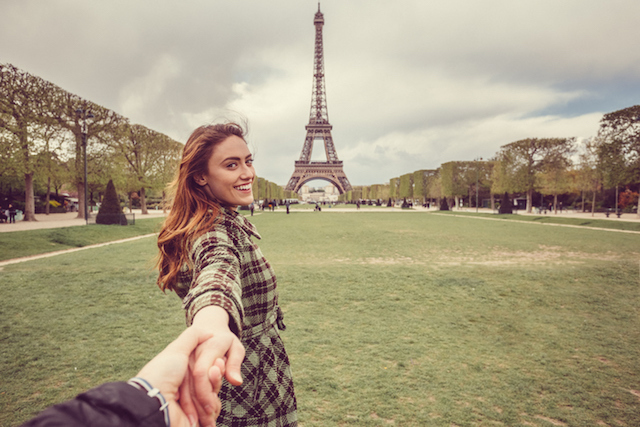 Plan your trip well, and you could spend a week in a three-star hotel in Paris. You don’t even have to risk discount, bare-bones airfare: Our search pulled flights from Air France and KLM. On a practical note, now could be time to stock up for any/all potential apocalypses. We’re talking 41 packs, with 24 rolls per pack, which means means 984 rolls of toilet paper — that’s more rolls than dollars you’d spend on your new phone. Your local school librarian would totally lose it if these wizarding box sets showed up at the circulation desk. Yeezy Boosts are sold out forever, but you can still stock up on Air Jordans. They’re classic. Look at this beautiful appliance that will be useful for many years. You can wash your clothes, but I do not recommend washing your phone. Not even if it’s supposed to be water-resistant. You could get a new phone, or you could get yourself a brand new mode of street-legal transportation. If you’re an in-county student, that’s almost a full semester of classes. No prescription coverage? No problem. You can take your $900 straight to the Walmart pharmacy to pay full price for these brand-name, life-saving medical devices. Your Turn: Are you planning to get a new iPhone 7? Lisa Rowan is a writer and producer at The Penny Hoarder. She thinks 64GB is enough.